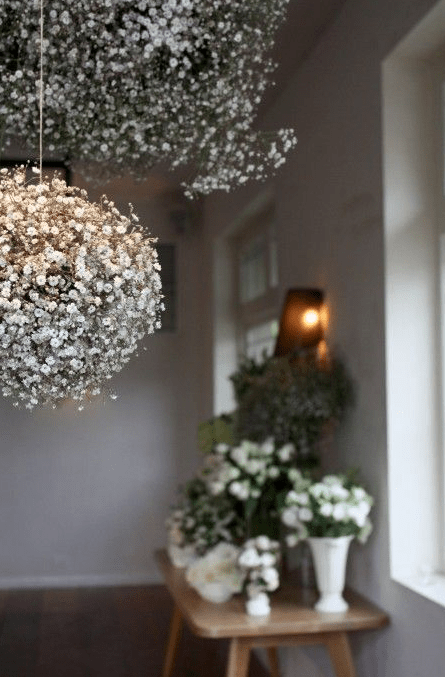 Baby’s Breath Arrangements are trending hot!. The flower we commonly call the baby’s breath is better known as the Gypsophila family. Most people know the baby’s breath flower as the flower of innocence. 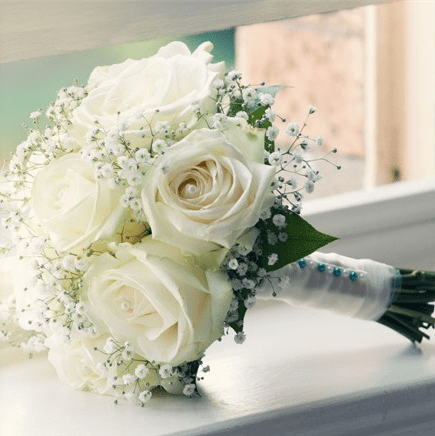 How can you make arrangements with baby’s breath? 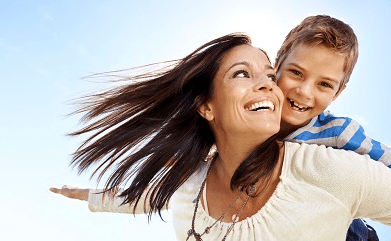 There are a lot of options due to their angelical appearance. Be creative with it DIY! With the variety Xlence Baby’s Breath you can make beautiful flowers crowns that will give an angelical touch to your wedding ceremony. Or you can use the baby’s breath as center piece in a vintage wedding ceremony or a black tie party. If you let the baby’s breath hang at a black tie party it will look spectacular. It’s my pleasure to share with you some pictures that can inspire you at an event. 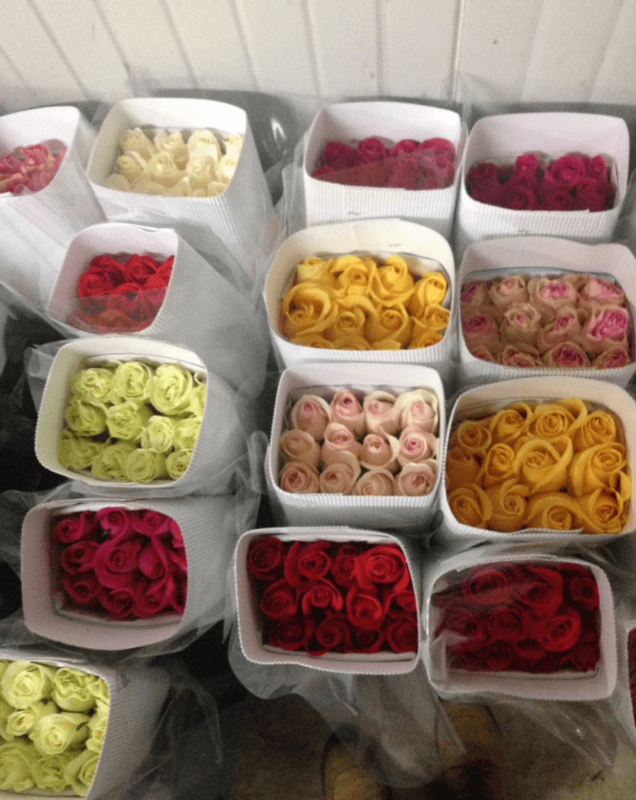 Another option is to make the classical baby’s breath arrangement is mixing the baby’s breath with roses. 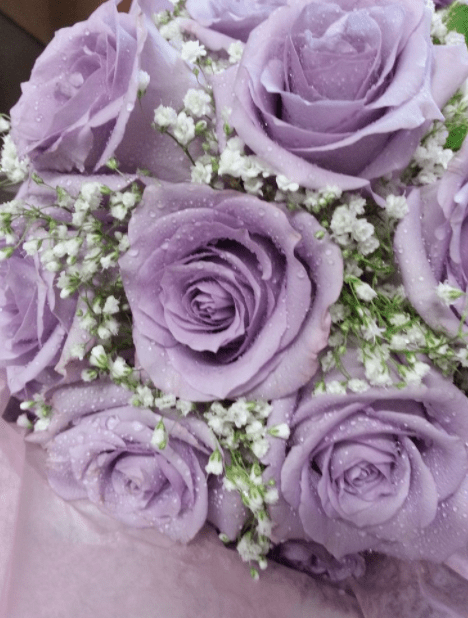 Lavender color roses can go very well with the Gypsophila. The lavender color will give a fresh look. Also you can mix gypsophila with and keep that angelical look. Or just think out of the box and make your arrangement only with baby’s breath and fasten the baby’s breath with only a colorful ribbon at the center, sometimes less is more. Some other out of the box idea is to recycle your light bulb! 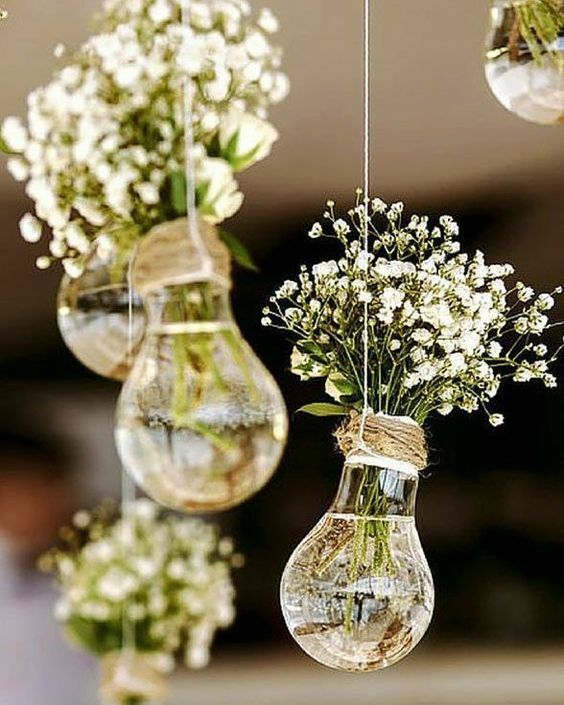 You can put the stems of the baby’s breath in a light bulb with water. 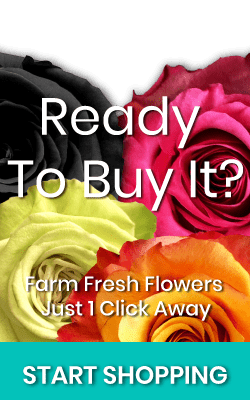 You can find these flowers at some florist shop, or you can do your Baby’s Breath arrangements yourself getting the best flowers from Magnaflor you can order them and we can deliver them till your door. The price of the Baby’s breath depends on the grams of the bunch that you are buying. You will find Baby’s breath 250 Grams per bunch or 750 Grams per bunch. Normally 1 bunch of 250 gr has 7 stems of baby’s breath. 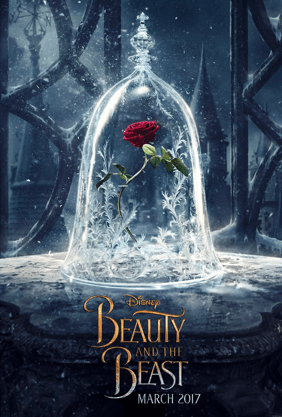 THE ETERNAL ROSE OF THE BEAUTY AND THE BEAST IS MADE IN ECUADOR.